Our website redesign service not only confirms a 'modernization' but also makes your brand search engine friendly. 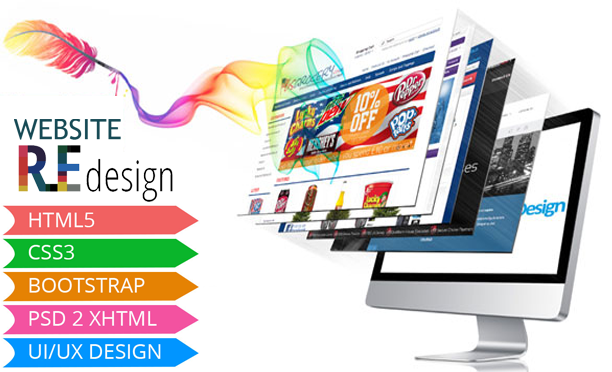 We analyze your business requirements and set-up solutions that help your website express better. Revamping costs less than a complete renovation and needs a short span of time too. Consequently, Website Redesign Companies are burgeoning everywhere and luring businesses across the globe to assist them towards rendering a new look to an existing web identity. However, the success of the above facets largely depends upon the factor of a technical expert's contribution in achieving the redesigning task done. The technical expert with knowledge, expertise and experience of the functioning of the latest technologies, tools, and challenges would be better equipped to meet the needs.